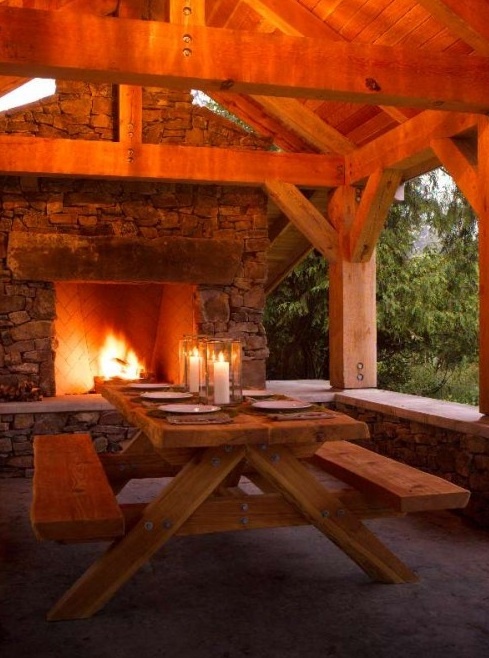 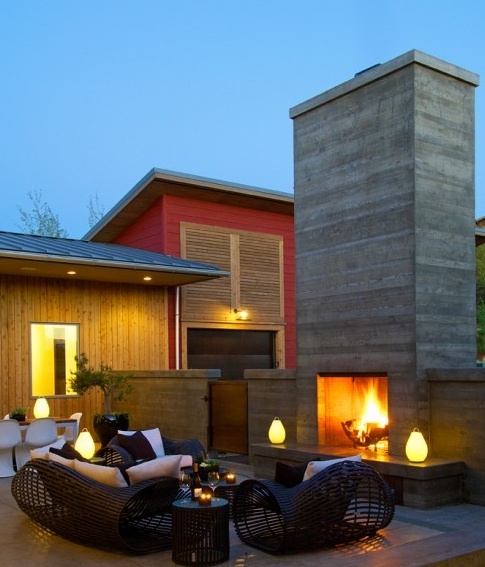 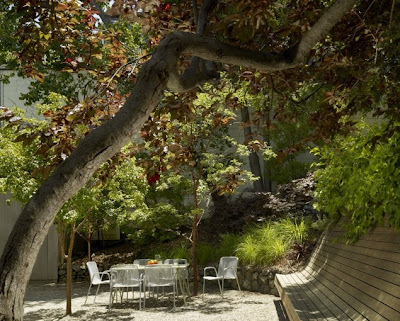 Outdoor spaces... rustic, modern, chic, you name it. I am in love with the curved bench in the first one. Find many more ideas here.